The first time I experienced this bounty I was hiking an ancient trail alone in the hills above Genoa, Italy. The trail started near my youth hostel and I simply happened upon it while taking a walk that balmy fall evening before sunset. I was surprised when I espied numerous ancient Roman ruins in the distance, but more surprised at the prickly bushes that covered the hillside and spilled over the edges of the trail. 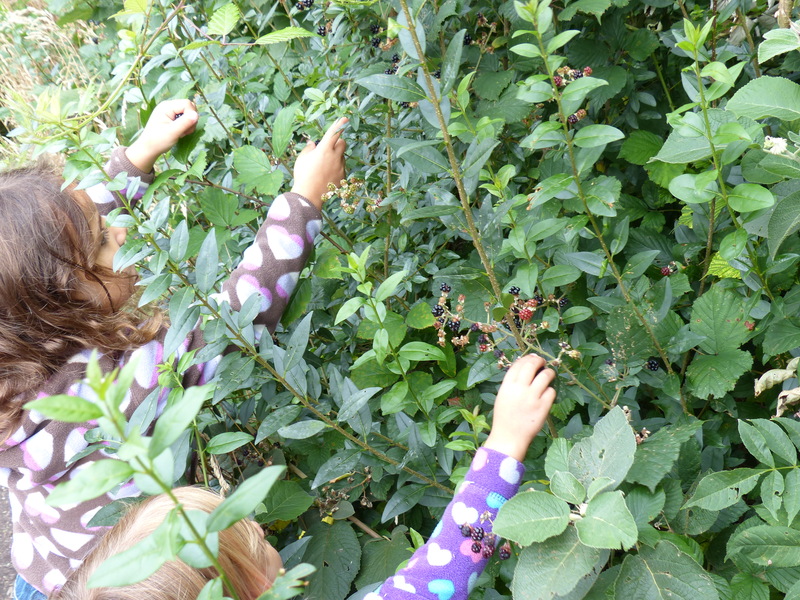 Among the prickles, hundreds of blackberries were in a perfect state of ripeness, waiting to be plucked. But no one else was stopping to pick them. I couldn’t help myself and paused again and again when ripe bunches presented themselves. 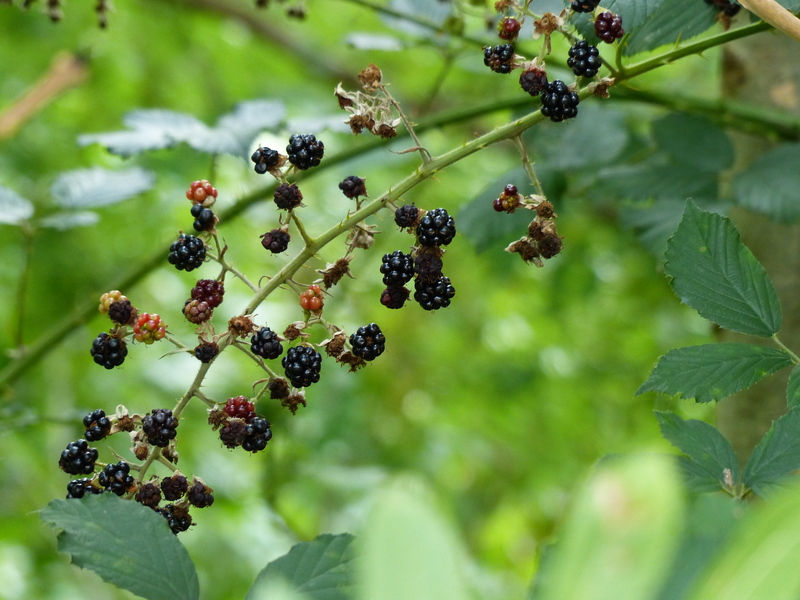 A decade later, after having spent several years in Europe, I came to understand that blackberries in the fall are as common as snowflakes in winter – they become unremarkable and pedestrian, barely worth stopping to appreciate. 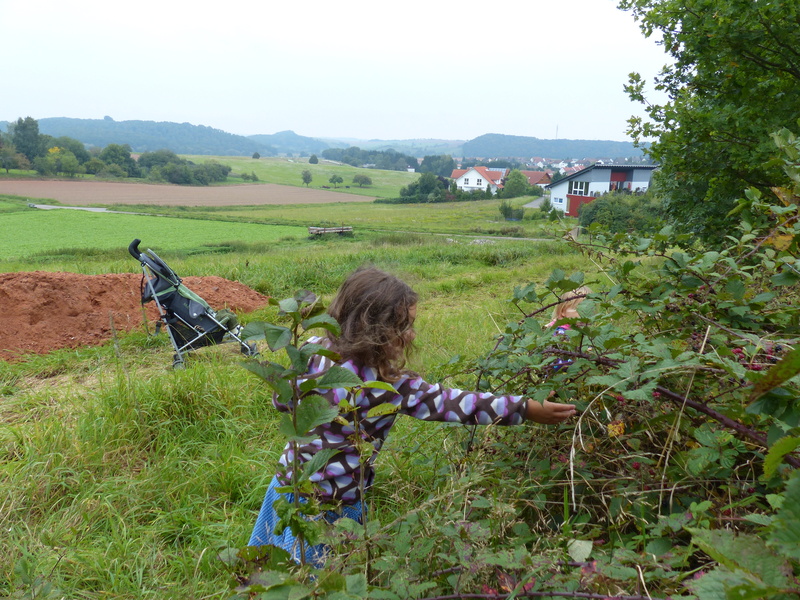 When I returned to Germany last month with my young children, it was the height of blackberry season. We went on numerous strolls and always stopped to reach for the perfect berry and stain our finger tips with the dark juices. Little P would pop a fruit in the baby’s mouth and he would screech for more after barely taking the time to chew it. 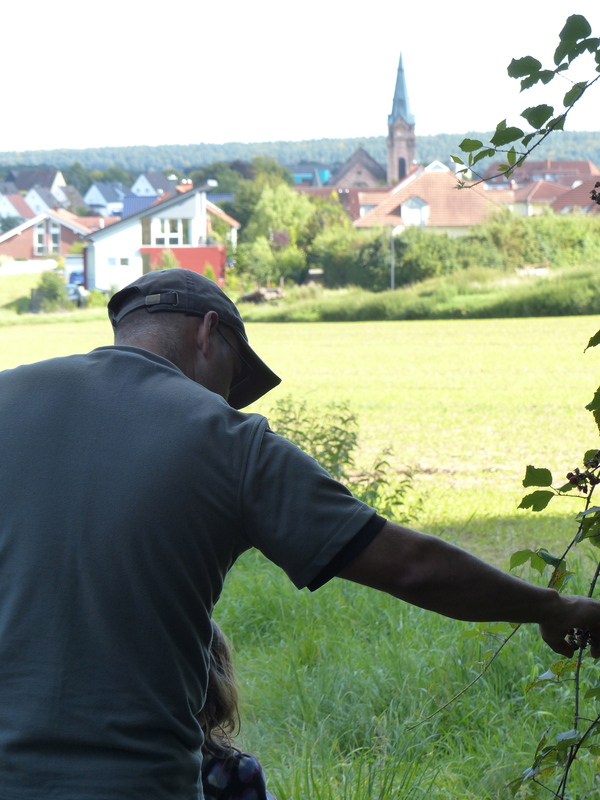 Every walk became a treasure hunt that always reaped rewards. At one point we determined to actually save enough to take home and bake. 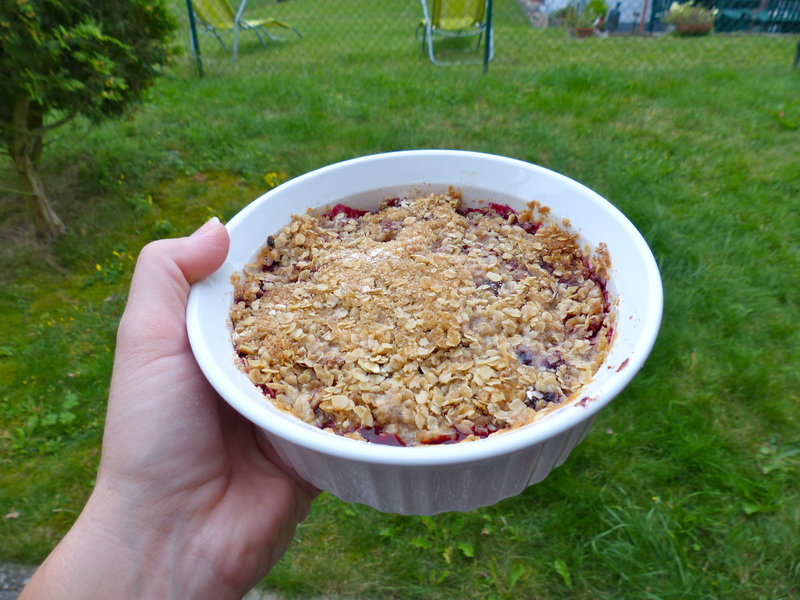 The girls were excited about the prospect of cooking in the kitchen with something they had picked from outside and were not disappointed when, later that evening, we partook of a warm, blackberry crumble. Thank you Germany! We don’t take your bounteous berries for granted. ****************************************************************** This series is brought to you by the letter “B” and pertains to our family’s recent three week stint in Europe. If you want to be sure not to miss a post, sign up to receive the blog via email on the lefthand column.